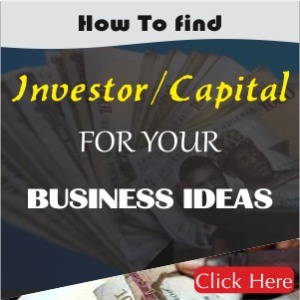 Do you want to get investors for your business idea in Nigeria? If you are answer is YES, then read on as you will discover 9 hidden secrets to finding an investor for your business in Nigeria or Africa. When you’re through with this tutorial, you can join our 5-day internet-based course about How to Get Investors/Capital for Your Business Ideas in Nigeria. 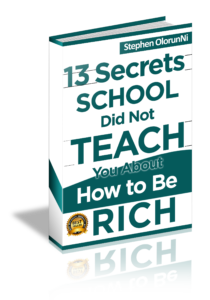 As you drive into this tutorial, you will discover a lot of things you never knew about finding investors. 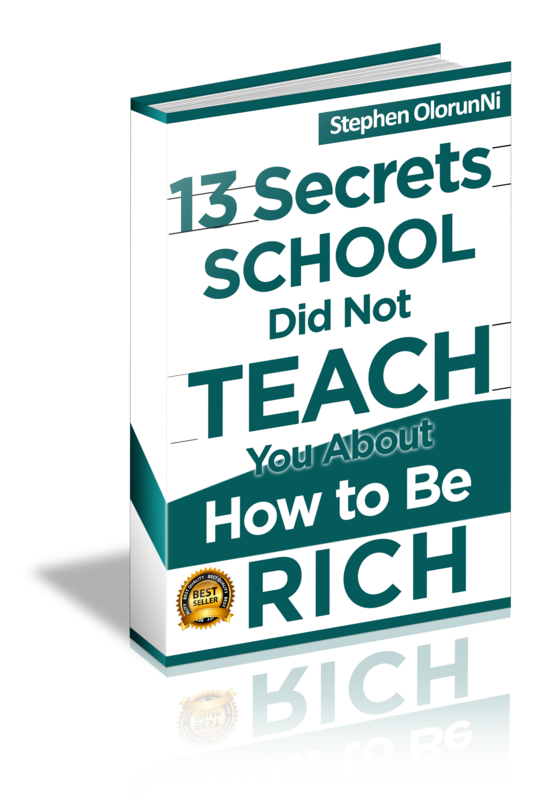 Equally I am going to share with you some tips and insights apart from the major 9 secrets which you will later discover. The additional tips are spread all over this tutorial and may occur to you unannounced. So I will suggest that you follow me closely to ensure that you don’t miss out. Alright let’s get into business. First of all, permit me to say that “getting investors is like an art” and to succeed in any art, what you need is the mastery of that art. If for any reason you say there are no investors around ( Nigeria or Africa), then it’s obviously because you have not been taught how to get or attract them to invest in your business idea, therefore you cannot see them being available. However a key virtue you must possess is the willingness to learn how things are done, for if you are willing to learn then this tutorial will teach you what you need to know about investors and how to get investors to invest in your business idea in Nigeria or Africa. In most cases, the businesses you are running right now have the potential to go national or even serve the global market. The same thing applies to most business ideas which you conceive, but the irony of the whole thing is that you probably don’t know it to be so. Is that right? Oh you now know! 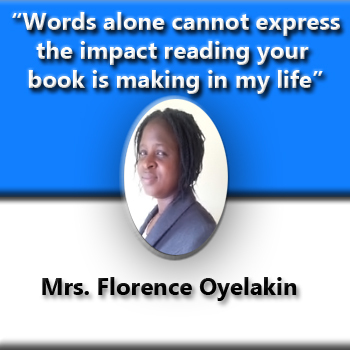 In the other hand, you might be well aware of the potentials which your business has but wondering how to activate and deploy those potentials. I mean wondering about the possibility of getting your products or services to the national audience in order to make your dreams come true. Well, the good news is that it is possible, and how is that possible? Because there are willing investors which you can take advantage of. You get them, they invest their money or resources into your business and your business grows rapidly to meet your expectation and that of the investor in the shortest time possible, thereby actualizing your dream. Just like a farmer will need machinery to improve the quantity of his cultivation, which in return will increase the quantity, yield and quality of his harvest. It’s in the same way you need investors in order to expand, improve and enhance your business before you get kicked out of business. 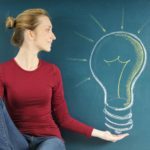 You might be thinking of other alternatives like bootstrapping your business. In business bootstrapping is the process of raising capital by yourself with your own effort or from family and friends to finance your business (especially at startup). That’s also a good way to fund your business but it doesn’t work for all business ideas I will explain why. 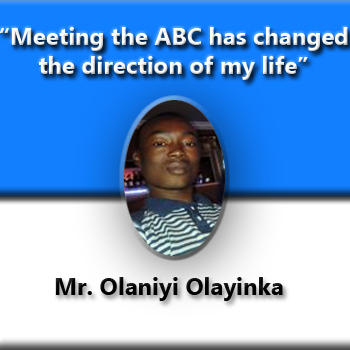 My dear friend, there are blazing hot business ideas with potentials of giving the world the next Microsoft, Coca-Cola or Facebook. But do you know something? When those kind of super-hot ideas storm your brain and you decide to implement them with just a bootstrapping option of raising capital or resources, you will eventually find your business on its way out of the competition. I will explain that with an example. Other smart entrepreneurs will copy your idea, improve it with innovation, and make it easier by applying technology to it all in a very short time. How will they possibly achieve that in a short while? By getting investors to invest in that idea, yes just that alone is a solid competitive advantage against you. Their competitive advantage is not just because they applied technology and innovation to the idea but also because they were able to attract investors. They saw your idea, they knew how far it can go and how revolutionary it can be and so, they copied it and built there strength on your weakness. On the other hand, you who implemented the same idea first before your competitor will now be a follower (following behind your competitors). This is because it will take you years and years before probably become the king in your market (that`s even if know enough marketing strategies to win the war of the business world), that’s if at all you manage to get to the top (it won’t be that easy). Because you didn’t seek investors! And the small capital which you bootstrapped your business with was unable to lift your business above the ground. It kept you crawling for years….. That is what happens. I believe you really understand what I am saying here. Understand that I am not saying bootstrapping is bad, am only saying it not good for some business ideas therefore it shouldn’t be the option for such business ideas. 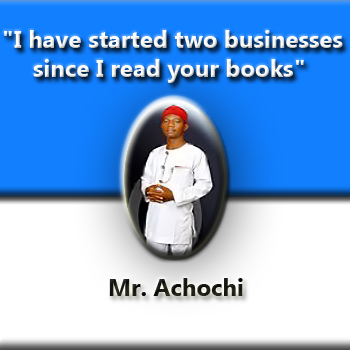 Am trying to say every business idea should have its own approach in terms of propelling it forward. 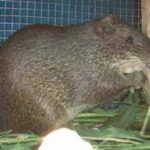 Having a different approach for every issue is a general principle that applies to every aspect of life especially in the 21st century and that is why in the 21st century war, bombs are used to conquer places where Guns failed…. Enough of that lets ride to the axis. Investors are simply people who allocate capital (money and resources) to businesses with expectations of future profits. Like most people and things, investors are categorized into different types. There are people with high and solid net worth, who seek to invest their money in promising start-up businesses in return for a stock (the share of capital held by an individual investor) in the company. These types of investors are called Angel investors. Other high earning individuals will invest into your business in return for a part ownership of your company in which the percentage is often decided at the end of a negotiation. These types of investors are called Equity investors. A major disadvantage of having deals with these types of investors is that you cease to have complete control over the business or company. This can affect the originality of your business idea as it can divert your vision away from its initial intent. Again there are organizations that invest in companies with an obvious sign of a bright future. These are called Venture capitalist. CNN Money defines a venture capitalist as a funding organization that typically gets involved in companies that have already shown a history of returns. Venture capitalist only consider million or billion dollar deals and have less or no interest at investing their money to small business start-ups. They consider it to be a risk whose hope cannot be predicted. Other types of investors may include your family and friends who can fall into any of the categories above. Where can I find investors in Nigeria? Maybe you don’t know that your boss or rich colleagues at work, uncle, and other successful businessmen close to you are investors too. Don’t you know that people can be something they don’t know they are? Also, investors can be found online via various websites or online portals that render the service of connecting people (business owners and investors). 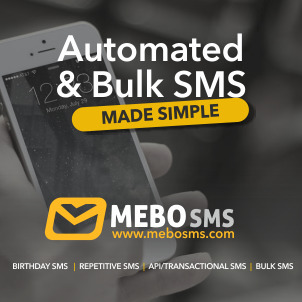 They connect small or startups business owners to investors nationwide continent-wide or worldwide as the case may be. It depends on the location which you want to get the investors. There are many of such websites on the internet where you could find the angel investors. I will mention those websites to you within this post. That’s where you can find them, but how do you really get them to invest in your business? To get investors there three things I would like you to understand about investors. There are also things you must know and do (am talking about things that constitute the principles of getting investors). You don’t just get them like that. There are steps and principles in which you will have to follow. Understand that investors are businessmen. Investors can’t invest in your business and expect nothing in return, that’s not possible. And that makes them businessmen too, so do not be tempted to believe that they are going to finance your business just like that and expect nothing in return. Understand that investors do not invest in just any business idea! Am not talking about a good or bad business idea here, am talking about areas of interest for investors. One investor may be interested in the agricultural sector (i.e. poultry farming) while another might be more interested in the ICT. So another step of understanding you must attain as you seek investors is the understanding of what he (the investor) is interested in. Also note that investors don’t just invest in anyone and everyone. He/she must be convinced that you know what you’re doing and have the business skills needed to make a business successful. You can always find an investor interested in an idea from your field, go for them! Understand the category in which the investor you are eyeing falls into. 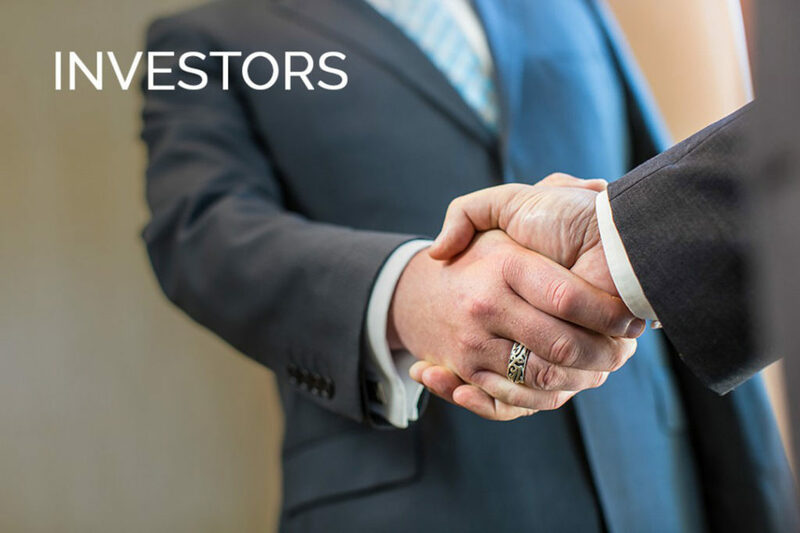 Another thing you need to understand is the type of investor you intend to have a deal with. Is he an Angel investor, equity investor or a venture capitalist? Compare your answer with your business plan and goals to see the best investor for you. This is a choice you need to make carefully as it can determine how smooth things will go for you. What if things don’t go smooth? Life and business is a war after all…. You keep fighting until you win. Having understood that, let’s consider the questions you must answer in order to attract investors to invest in your business when approached. They are not just questions but the POINTS you must keep in mind to ensure success! Do you have a solid like-minded and ready-to-explore team? How powerful is your business name? How big is the market out there for your product or service? How do you intend to beat your competitors in the competition? Where are you seeing your business in 5 or 10 years to come? How good are you at negotiation? Do you actually understand business and have the necessary business skills to convince an investor? Let’s chew these questions into points! 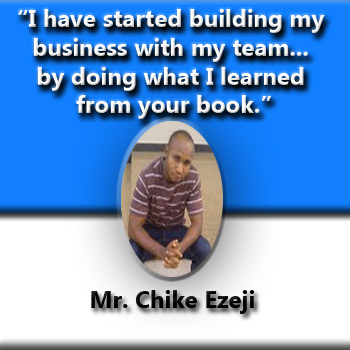 A business plan is important because it help you structure your business and the way you carry it along. Having a business plan ready before approaching investors ensures that the investors take your deal seriously. According to Google, A business plan is a formal statement of business goals, reasons they are attainable, and plans for reaching them. It may also contain background information about the organization or team attempting to reach those goals. So I ask you again, do you have a business plan? If yes then you have successfully crossed a step, else you go back to your closest and develop/write one. Do you have a solid, like-minded and ready-to-explore team to run your business? One of the things that interests investors most is the power of unity through a team of like-minded people. It is said that no man is an island so if you don’t have a team, go and get one. When you work with a trusted team you can’t be beaten. No, that’s not possible you can’t be beaten. If you really want to get investors’ attention then you now know one of the things you must do. One good thing about having a good team is that each member of the team has his/her own strength one might be good in sells while the other good at accounting or negotiation. The weakness of one is the strength of another and so this inter-woven caliber of team members creates a strong bond that can hardly be broken. As a team, your goals, visions, ideas, knowledge and skills are focused toward the same direction and who can conquer such a team? Your business name should be powerful and fierce such that at the mention of it a potential client will feel motivated and comfortable to patronize you. The name of your business should be short, simple and memorable such that even a man from another continent can remember it easily. It should be as descriptive as possible such that even a kid will understand what your business is all about. If you can’t achieve descriptiveness of business in its name then another option is do that in its tagline. With the above attributes in place you are sure to give investors a good impression about your business. You can find out more about naming your business in this tutorial. Remember I told you that investors are businessmen too? You should know that most investors prefer to invest their money in a business whose market size is enormous, than in a business in which its customers are limited to just a state or province of a country. How big is the market out there for your business? If your answer to this question isn’t encouraging then you will have to re-think before considering and seeking the attention of investors. Unique selling point or unique selling proposition is a factor that differentiates a product from its competitors, such as the lowest cost, the highest quality or the first-ever product of its kind. Please read again if you don’t get it. The definition is self-explanatory. You should be able to clearly state your unique selling point in your business plan or verbally to your to-be investors. However if you don’t have your USP ready all hope is not gone, the good news is that you can have one. Take days and weeks to study your competitor’s weaknesses, and then you create your unique selling point or proposition (USP) upon those weaknesses. Take hours to think and come up with something creative and impressive. How do you plan to beat your competitors? Beating your competitors out of the game is not just all about your USP alone, but how strategic you plan your business in a generic manner from point A to point Z of it all. To impress investors, have a clear and creative competitive advantage which you and your team will subsequently be executing as business goes on. Your ability to see ahead is a great point to you and to investors. Vision is very powerful in all aspects of life! As you present your business idea to an investor make room for opening his eyes to see how profitable the business will be in the years to come and the quantity of problems which the business can solve. Not just profitability of the business but for the investor too, in most cases its possible for investors to be blind of the vision. It takes you to open their eyes to see it. See your business in years to come. Know the mountains you must climb and how to climb them. 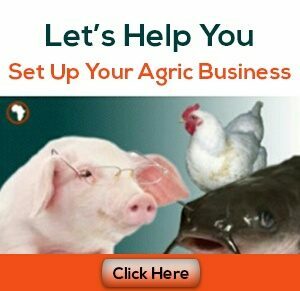 See your business at its peak. Negotiation is the act or process of coming to an agreement on something through discussion or compromise. Negotiation is a must-learn for every business owner who wants to be successful, if you can’t negotiate then it’s difficult for you to successfully discuss profit allocation or returns for investors (that’s after they have invested in your business). Be a good negotiator, read books on negotiation, most books written about negotiation out there are focused on business so you have an advantage. To be on the safer side, learn to negotiate if you don’t know how to. Negotiation is an art and so it can be learned. We designed our course on How to Get investors to Equip You on How to negotiate and get the investment you need. Be part of our ongoing 5-day practical course on How to Find Investors for Your Business Ideas in Nigeria. Remember, no investor will ever invest in your idea except he/she is sure you know how to run a business and make it a great success. Without business skills, you cannot run a business successfully. 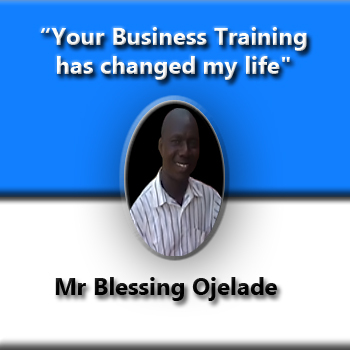 You can get some good business training here to equip you will great business skills. Having answered the above questions the next thing you are asking me is what next? The next thing to do is decide what you need to learn, how you need to learn and when. I guess you know that the right time is now! After you have learned and done all you need to do then it’s time to go out and have some fun! Don’t mind me, I mean meeting investors. It’s truly fun sometimes though. Lest I forget, an important point you should put in mind is not forgetting your looks (I mean your dressing). Always remember to put on your best cloth or outfit and your haircut should look responsible (for men). Is there an investor you have been eyeing close to your town, city or locality? Walk straight to his home or office, if he is the formal type you too make things formal by arraigning and applying for an appointment with him through his secretary or other alternatives. When the day to meet him comes, talk confidently, sound convincing, and be powerful in your expression. Wear your best cosmetics, I mean smiles. Say as many things as possible using few words, the more you talk the less sense you make and the more bored he (the potential investor) become, so learn to say much things with few words. You should be able to summarize everything about your business idea using the points above from point 1-7, in as few words as possible and in the shortest time possible. Do not be thrown off-balanced by his questions, critically create at least 20 possible questions that might come from him/her. Do that and of course give answers to them. Know the product or service which your business idea offers or will offer, lots of question might come from that angle too. Just be sure to be a king of words (but not confusing words, they should be nice and easy to understand). Follow the same principles when seeking for investments in written investment proposal. The same principle applies to meeting formal organizations like venture capitalist, and those investors which you will meet online. Here are 5 out of hundreds of websites where you can find investors online; I chose these ones because they are among the sites that focus on the African continent. Do you know you can be part of our ongoing 5-day practical course on How to Find Investors for Your Business Ideas in Nigeria?